The Princeton Review is known for its high-level test prep for students that need to get a score in the 90th percentile or higher in order to get accepted at a top-tier university or for merit-based aid. Their method is to prioritize the most important parts of the SAT and teach them to you in the most efficient way, so you aren’t wasting time learning unnecessary facts or practicing already strong subjects. They are one of the most experienced test prep providers and offer quite a few different packages and score guarantees. There is a reason the media recognizes them as a top source for college prep year after year. While they are on the expensive side, if you are looking for a high-score guarantee, The Princeton Review is a great option. The Princeton Review has three different packages offering score guarantees. There is the SAT 1240+ and the SAT 1400+, both guaranteeing scores above the 1240 and 1400 marks. They also offer private tutoring packages that guarantee a 150-point score improvement. There are no other SAT course providers that offer this kind of score guarantee built into the course. It allows you to personalize your course work based on your goals before you even begin the course. If you need a top score, either to get into your desired school, or for merit-based aid, The Princeton Review score guarantee courses may be worth the $1,399 price tag. It’s worth noting that Princeton Review also offers an ACT & SAT self-paced course for considerably less, but that option doesn’t include the same score guarantees. When reading other online reviews and the testimonials for The Princeton Review, the one thing that constantly comes up is how impressive the instructors are. They are true SAT and test prep experts. They have tons of experience and go through 37 hours of Princeton Review training before beginning to instruct or tutor. Many of them have been with The Princeton Review for decades and their experience and love for tutoring and instructing students shows. Not only are they extremely knowledgeable about the SAT strategy and problem-solving, they also have a sense of humor, keeping the classes interesting and fun (or as fun as a test prep course can be!). With The Princeton Review SAT prep courses, you get access to all on-demand videos, practice tests, ACT and PSAT self-paced prep and resources the moment your register for the course, up to a year in advance. The Princeton Review is the only course provider that offers this kind of early access and could allow you to get a head’s up before your course begins or brush up on the ACT as well. You get 365 days of self-paced practice for free when you enroll in their Ultimate, 1240+ or 1400+ courses. 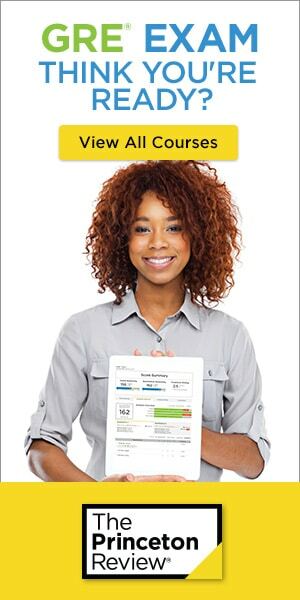 With The Princeton Review’s Freepass, you have access to both ACT and SAT test prep. 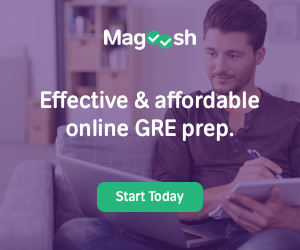 They are the only test prep provider to offer a combined course, perfect for students not quite sure which test they want to take or those who will take both. With Freepass, you have access to on-demand videos, practice exams, and SAT and ACT drills. They also include ACT self-paced prep as part of their pre-enrollment access. When you sign up for their SAT 1240+, SAT 1400+, and Ultimate courses, you get access to over 140 hours of on-demand ACT video, practice tests, and drills for up to a year. After 35 years of test prep experience, The Princeton Review has collected a lot of data that has helped them enhance the test prep experience. By using artificial intelligence, The Princeton Review’s SAT prep courses are able to personalize your study time. With every drill that you complete, the system adjusts to give you exactly the type of problem you need next. This ensures that you are studying the right problems at the right levels to make sure that you are most efficiently using your time. Each course offers a personalized study plan as well, and is based on your goal, your timeline, and the score that you achieved before taking the test, if applicable. When you enroll in the SAT 1400+ or SAT 1240+ courses, you have access to tutors-on-demand. Anytime you have an issue with a problem or a lesson, you can reach out to one of their tutors. There is no limit to how often you can reach out and tutors are available around the clock. Why spend unnecessary time struggling with a question or a concept when an expert SAT tutor can help you with it in just a few minutes. Learn more about Princeton Review SAT tutors. The Princeton Review SAT courses are on the more expensive side. They have an Ultimate course for $799, but their most popular course, the SAT 1400+ is $1,399. They also offer private tutoring at $150/hr. If upwards of $1000 is out of your budget, take a look at our SAT prep course comparison chart for other, less expensive SAT prep options. Our top option for those who are more budget-conscious is Magoosh SAT. No other course offers more bang-for-buck value. The Princeton Review has course materials that include three textbooks. While they are high-quality and add value to the course, they limit your studying to when you have the books with you. I prefer an entirely online course, with a dedicated mobile app. With their score guarantee comes a time commitment, obviously. In order to qualify for the score guarantee, students need to attend the entire course and finish all of the practice problems. For some students, the class schedule and additional homework may not fit into their already busy schedules. The courses include approximately six hours of in class time with an additional three to six hours of homework each week. If even one class or one assignment is missed, the guarantee is no longer valid. The Princeton Review is known for its excellent instructors, high-quality materials, and decades of test prep experience. They are also known to prep high-performing students to achieve scores in the 90th percentile. If you want a 1400 or higher on your SATs and have the budget to pay for the classes, The Princeton Review is a great option. With decades of experience and a course geared for high-performers, the $1,399 price tag might be worth it to you if you need a high score to get accepted to your chosen school. If you aren’t prepared to pay over $1000 for a test prep course, take a look at our comparison chart to see other, lower-priced options.